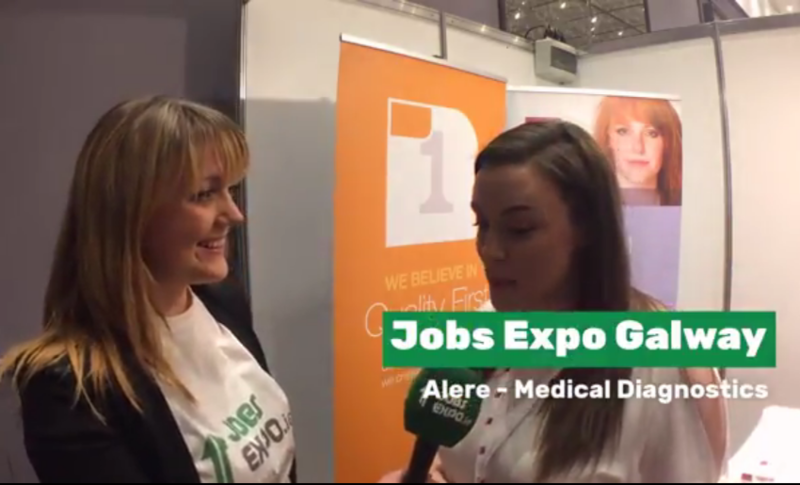 Jobs Expo TV’s Barbara Nic Donnacha spoke with Alere at Jobs Expo Galway. The event took place at the Radisson Blu on Saturday 11th February, 2017. Alere Inc. is a major global developer, manufacturer as well as marketer of advanced medical diagnostic products. They deliver reliable and actionable information through rapid diagnostic tests. As a result, they support better clinical and economic healthcare outcomes globally. The company has a socially-conscious business approach. Therefore they focus on creating breakthrough, cost-effective diagnostic solutions. These address the most intractable diseases for all populations in all corners of the world.